Nimród Antal tops Sony's list of new SPIDERMAN helmers? We've just been given an interesting tip from an industry insider who says Armored / Predators director, Nimród Antal, is really at the top of Sam Raimi's and Sony's list to take over the reigns of Spiderman and not Marc Webb as was reported by Deadline Hollywood. Even though we really don't care much for the franchise ourselves, we know that many out there do and would be interested to know who might be in charge. The whole story goes like this: Sam Raimi met Nimrod on the Sony lot before his first US film, Vacancy. They clicked, so Sam hired him to direct Armored. Now, Predators is getting some great word-of-mouth around tinsel-town. 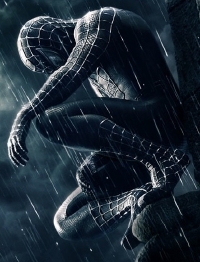 Warners loves it and now Sam Raimi and Sony want the director back at the studio to helm Spiderman. So there you have it. Personally, if I take anything cool from this story, it's that Predators is getting good buzz. I hope it's indeed as good as all that. sam has zero input on who directs the next spiderman. trust. csak &Atilde;&shy;gy tov&Atilde;&iexcl;bb Nimr&Atilde;&sup3;d!!! Brav&Atilde;&sup3;!!! Magyar vagyok GEEX. &Atilde;&copy;s KABBE ha tudod mi az. Gratul&Atilde;&iexcl;lunk Nimr&Atilde;&sup3;d! Az egyre szebb b&Atilde;&copy;rmunk&Atilde;&iexcl;k ut&Atilde;&iexcl;n az&Atilde;&copy;rt v&Atilde;&iexcl;rjuk az igazi Nimr&Atilde;&sup3;dot is! Nimrod, Sam Raimi wants to make sure they destroy this franchise.